Taking your dental care to a whole other level. Receive a beautiful smile in just one appointment! Imagine a beautiful restoration designed from digital technology, 3D imaging, and tooth-colored porcelain material – all in one visit. At Nashville Dentistry Co., we do just that by means of CEREC® same-day dentistry in Brentwood, TN. Our patients often comment Nashville Dentistry Co. is the Apple of dentistry because of our commitment to bring revolutionary dental technology into our Brentwood practice. CEREC® technology is no exception. We're confident you will too! Finally, you don’t have to wear temporaries between visits. Instead, you’ll walk out of our office with a permanent restoration! No longer will it take multiple visits to get your beautiful smile. Instead, Dr. Patel can craft a gorgeous restoration in just one visit! We still apply our dedication to delivering high-class dentistry by making a same-day restoration that looks and feels amazing. You can let your true smile shine. Your smile is in good hands with Dr. Patel. As a cosmetic dentist in Brentwood, he can customize and design your restoration to match your smile seamlessly. How Does Your Brentwood Cosmetic Dentist Do It? Let us tell you how we create crowns in one day! 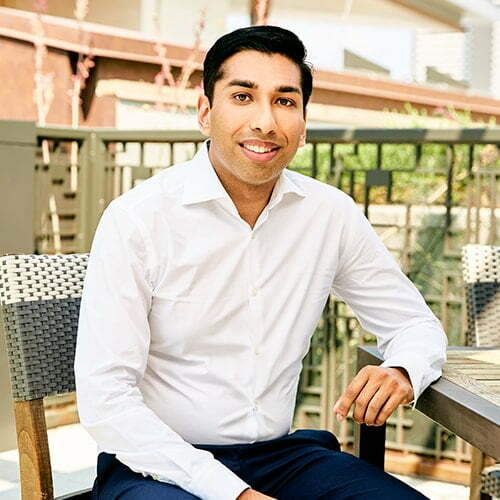 Dr. Patel is no stranger to using the best of the best dental technologies in his industry for family, cosmetic, and restorative dentistry. CEREC® Same-Day Dentistry delivers amazing results in a convenient manner, so you can have more time for your day without feeling embarrassed to smile. How does this incredible technology work? We’ll start your appointment by examining and prepping your tooth for digital impressions. This includes removing any harmful bacteria from the tooth. Dr. Patel will take digital impressions by using a special wand. Those impressions are transferred to a computer and a digital 3D model of your tooth is created. Dr. Patel will take that 3D image to craft your restoration. While you’re sitting in the dental chair, you can watch the creation of your new restoration right before your eyes! The digital design of your new tooth is transferred to the milling machine of our CEREC® technology. The machine sculpts your new restoration with a block of porcelain, which is already custom matched to your surrounding teeth. Once the milling machine is done, Dr. Patel can immediately place your new restoration, repairing your smiling and creating a gorgeous new look. You can walk out of our office (that same day!) with a beautiful, natural-looking restoration. Have Questions About CEREC® Same-Day Dentistry? Get your permanent crown right away allowing you to eat, speak, and smile instantly. With traditional crowns, you’ll have to baby your temporary crown by avoiding hard, sticky foods. Are CEREC® crowns right for you? Schedule your consultation with Dr. Patel right away and find out! The average time to get your CEREC® restoration usually takes between 90 minutes to 2 hours. It all depends on the severity of your case, your needs, and the number of restorations needed. How long will my CEREC® restoration last? With proper oral hygiene maintenance and avoiding teeth grinding (bruxism), your restoration can last between 10-15 years or even much longer! Schedule your CEREC® consultation today!